Will we get to see it in India as well? Toyota has revealed the plug-in hybrid (PHEV) version of the Corolla at the 2018 Beijing Motor Show. Developed primarily for the Chinese market, the Corolla PHEV will be introduced there in 2019. 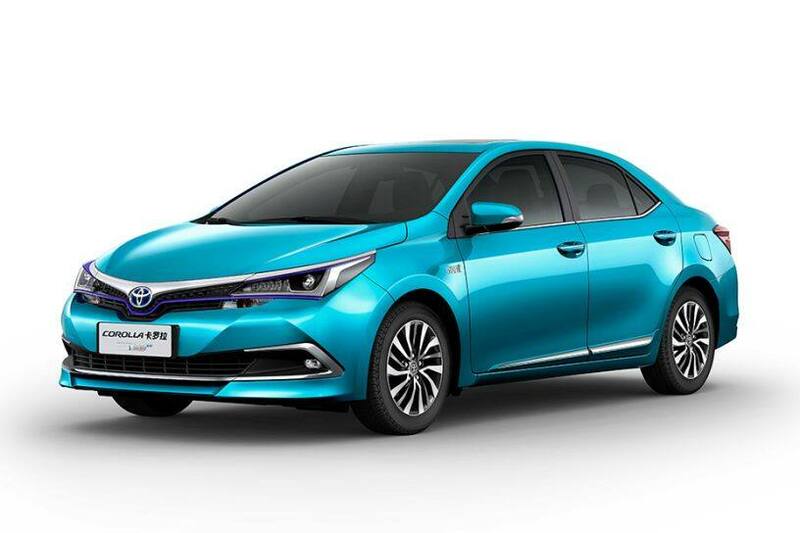 The Japanese automaker already retails the Corolla Hybrid in China (check out the picture below), which was also developed primarily for the market. At present, China is the largest market for electrified vehicles in the world. Toyota has not revealed any specifications of the plug-in hybrid sedan, but it should borrow its powertrain from the Prius Prime. To put things in perspective, the Corolla Hybrid borrows its powertrain from the Prius. The automaker, however, has confirmed that the Corolla PHEV will have an all-electric range of 50km (~30 miles), which is roughly the same as the Prius Prime’s (25 miles). The Prius Prime is also powered by a 1.8-litre petrol engine mated to an E-CVT (electronically controlled continuously variable transmission), same as the regular Corolla Hybrid and Prius. Like the Corolla Hybrid, the Corolla PHEV too is based on the current model, which will soon be replaced with a new generation model. Toyota still retails the first-ever Corolla that entered the Indian market in China as the Corolla EX, alongside the current global model. Toyota and Suzuki have joined forces and plan to source select vehicles, including hybrids, from each other for the Indian market. Toyota is offering its Corolla Altis to Maruti in India and we won’t be surprised if both the carmakers plan to bring the electrified version of the Corolla Altis to India too.